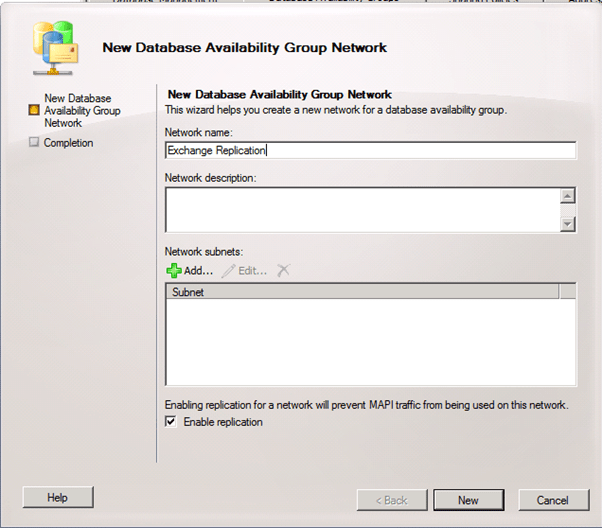 Answer:When using Database Avibility Group with Exchange Server 2010 its very important that we configure a seprate network for replication. 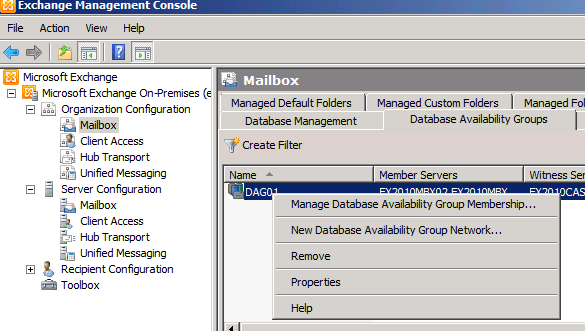 The replication data is the most important part in the DAG as the data needs to be replicated from one database server to another for redundancy. 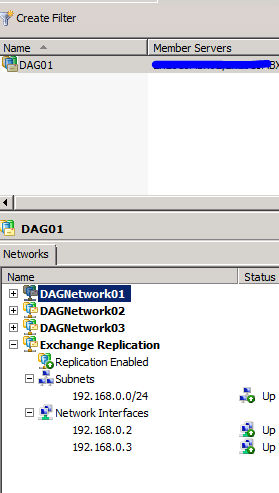 To create the replication network for Exchange server you will have to have a private network that connects the two or more database server is isolated from any other networks in the organization. 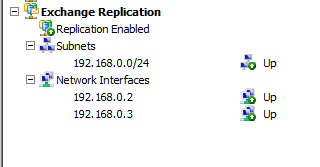 For this example I have created a new network, the replication network is 192.168.0.0/24. 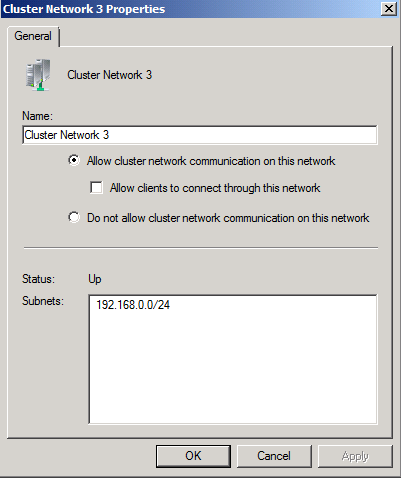 Name the network and click Add to add the replication subnet. 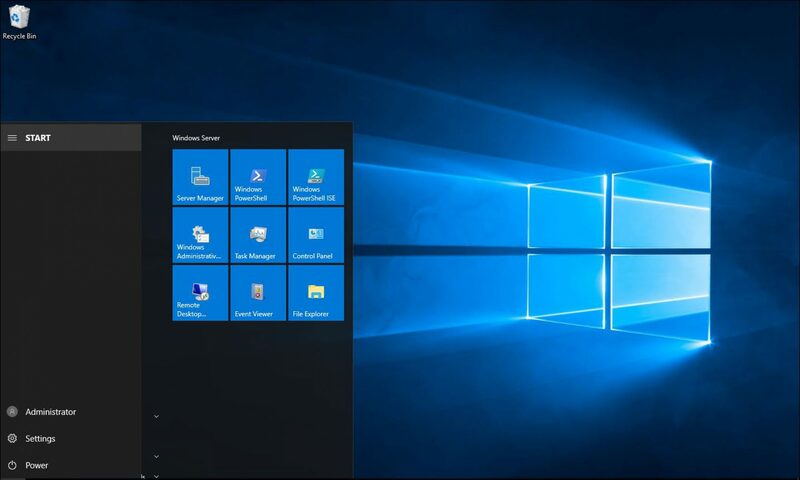 Make sure the Tick box enable replication is ticked. This is our new replication network. 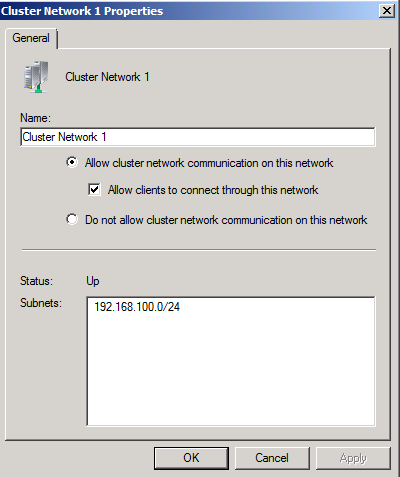 If you go to the Failover cluster in the Administrative tools and right click on Cluster Network 3 you will see that the replication is enable only for the cluster but not for the clients. 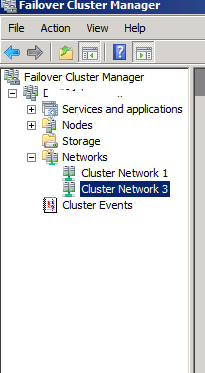 This is the client network seetings.